The Hickory Room is named after the native resilient Hickory trees found in this region. This room is quietly nestled beyond the bathroom of the Scarlet Oak Suite. This sunken bedroom (originally a lady's maid room) is the most secluded and quiet room in the Inn. This bedroom, with fireplace, contains a Queen sized bed along with other period furnishings and its own separate sink area. 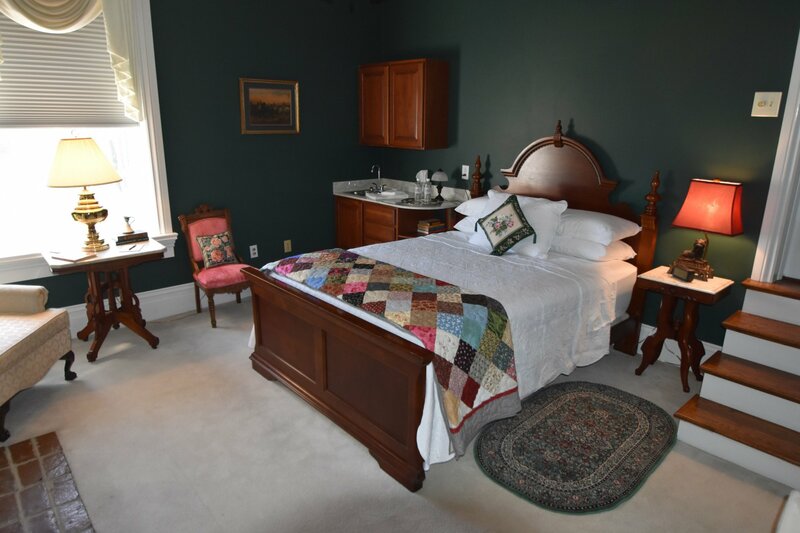 This room is an additional option of the Scarlet Oak Suite, for families or traveling companions, as it shares one common bathroom between the two rooms.